Review: Israeli duo Deep'A & Biri have been an enduring success story over the last few years. Their trademark style of hypnotic and ethereal techno that has seen them release anywhere from Dutch imprint Balans, the legendary Transmat and of course International Deejay Gigolos - who released the duo's debut album back in 2013. 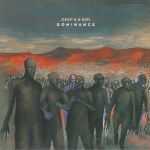 Their sophomore LP however is released on their own Black Crow imprint and is a fine collection of cerebral grooves that impressively discovers many different perspectives of what 'ethereal techno' can actually be. From the strobe-it, freefall tunnel vision of "Voltage" or "False Memories", to heads down tribalist grooves like "Avicenna" or "Flow Diverter" there are also some groove experiments that hit you directly with real impact (such as on the absolutely frantic "Alkalinaty") or moments of sublime ambience like the brilliant closer "Astral Trails". Deep'a & Biri - "Pilgrim"
Review: The Jaunt Records 10 years series shores up with the Land installment featuring another four adventurous souls that have the spirit of deepest techno in their bones. Stojche lets lush Motor City synths lead the way on the energetic "The Exchange" before AWOL gets into an intricate broken beat groove on the stunning "54.973379, -1.614705". 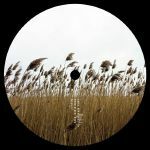 Luke Hess brings some unabashed acid gurgles to the front of the mix on "TDY" and then Deep'a & Biri plot a course for dubby waters with the growling tones of "Pilgrim".